While Chhattisgarh will go to the polls in two phases on November 12 and 20, Madhya Pradesh and Mizoram Assembly will face single-phase elections on November 28. 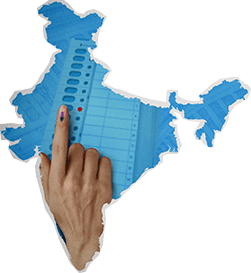 New Delhi:In what is likely to be a run-up to the 2019 Lok Sabha elections, five states of Rajasthan, Chhattisgarh, Madhya Pradesh, Mizoram and Telangana will go to polls between November 12 and December 7 with the results to be declared on December 11. While Chhattisgarh will face a two-phase election on November 12 and 20, the four other states will have single-phase elections and counting of votes will be taken up together on December 11, the Election Commission announced on Saturday. Elections in Madhya Pradesh and Mizoram will be held on November 28 and in Rajasthan and Telangana it will be held on December 7, Chief Election Commissioner (CEC) OP Rawat announced in New Delhi. In Telangana, the ruling Telangana Rashtra Samithi (TRS) had dissolved the assembly on September 6, paving way for early elections. In the first phase of elections in Chhattisgarh, 18 seats affected by Left wing extremism will go to polls and in the second phase, voting will be held in 72 seats in the northern parts of the state. Responding to a question, Rawat defended the decision to have two phases, saying in the past too, voters, political leaders and security personnel have been targeted by Naxals and it was necessary to have polls in multiple phases. The Model Code of Conduct, which bars the ruling party and even other parties from disturbing level playing field, came into force in Madhya Pradesh, Rajasthan, Chhattisgarh and Mizoram immediately. The term of the Madhya Pradesh assembly is ending on January 7, Rajasthan on January 20, Chhattisgarh of January 5 and Mizoram on December 15. After a recent EC decision to impose model code immediately in states where assemblies are dissolved prematurely, Telangana is already under the poll code. The term of its assembly was to end in June, 2019. The latest EC announcement, like the Karnataka election dates announcement in May, was also not short of controversy as the poll panel’s press conference was delayed by 3 hours and Congress smelled a “conspiracy” behind the move. The EC was to initially hold a press conference at 12.30 pm Saturday, but the announcements were made only at 3.30 pm. Congress spokesperson Randeep Singh Surjewala accused Prime Minister Narendra Modi of "putting pressure" on the EC to delay its press conference to announce poll dates in five states as he was scheduled to address a rally in Rajasthan. With the announcement, Model Code of Conduct comes into effect in all five states, which prevents the state governments from announcing sops and policy changes that might influence the voters. At an Ajmer rally, Rajasthan Chief Minister Vasundhara Raje announced free electricity for farmers, just before the EC announced the dates on Saturday afternoon. Much is at stake in the polls in Madhya Pradesh, Chhattisgarh and Rajasthan as the BJP and the Congress are in a direct contest in the three states after the saffron party had trounced its arch-rival in 2013 and then gone to decimate it in the 2014 Lok Sabha polls as well. 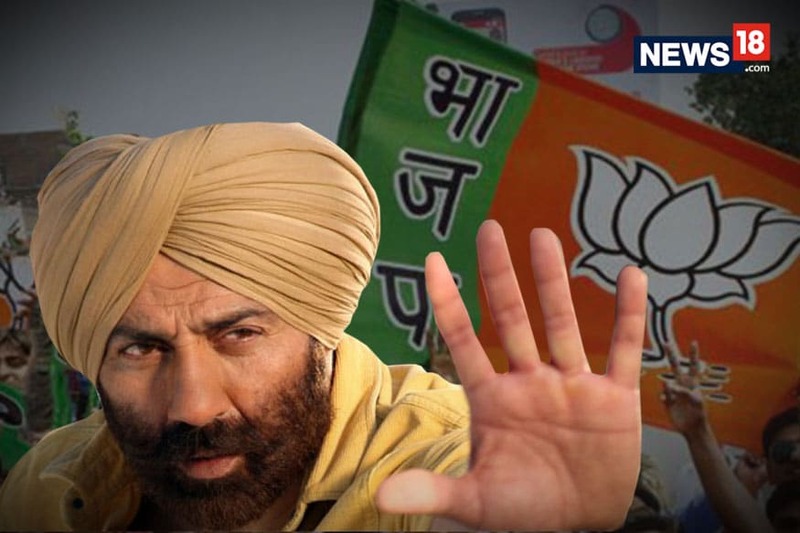 Under Prime Minister Narendra Modi and its president Amit Shah, the BJP has since 2014 got better of the Congress in every major state polls where both were the main rivals. In 2013, the BJP had won 165, 163 and 49 seats Madhya Pradesh, Rajasthan and Chhattisgarh assemblies respectively, with the Congress securing 58, 21 and 39 seats. The corresponding strength of these assemblies are 230, 200 and 90. In Telangana, the ruling Telangana Rashtra Samithi is seen to be going strong and will face contest from the Congress and the BJP. After winning 63 seats in the 2014 assembly polls, the TRS' ranks have swelled with members of rival parties joining it over the years. The state assembly has 119 seats. In Mizoram, the Congress has been in power since 2008. In the hill state with 40 assembly seats, Congress has been in fight against stae parties Mizo National Front and Mizo Peoples Conference. Putting in place security arrangements for the polls, the Union Home Ministry has ordered for the deployment of about 25,000 troops for election duties in Chhattisgarh, Madhya Pradesh and Rajasthan. These paramilitary and state police personnel, part of the additional 250 companies to be sent in for the polls, have been asked to take position by October 15 in states assigned to them. While 50 fresh companies each have been marked to be sent to Madhya Pradesh and Rajasthan, the highest of 150 such teams have been earmarked by the ministry to be sent to Chhattisgarh that has its southern part affected by a high-level threat of Maoist violence. A single state police or Central Armed Police Force (CAPF) company has about 100 personnel. This time, to ensure "wholesome and constructive participation" of persons with disabilities in the election process, the Commission has decided to issue accessible photo voter slips with braille features to persons with visual impairment. In a statement, EC said it is "genuinely concerned" about noise pollution and "great disturbance to the peace and tranquility of the general public by the reckless, widespread and flagrant use of loudspeakers during election canvassing and campaign." It said that the use of public address system or loudspeakers or any sound amplifier, whether fitted on vehicles or in static position used for public meetings for electioneering purposes will not be permitted between 10.00 pm and 6.00 am.